The battle between copper and fiber has raged for many years. Copper has been used for a long time while fiber has already established a niche in the industry. Someone even held that fiber might replace copper. This competition of copper and fiber also exists in the field of a transceiver module. Actually, there is a measurable distinction between copper SFP vs fiber SFP. This article will make a comparison of their strength and weaknesses. The 1000BASE-SX SFP operates on legacy 50 μm multimode fiber links up to 550 m and on 62.5 μm multimode fibers up to 220 m. It can support up to 1km over laser-optimized 50 μm multimode fiber cable. The 1000BASE-LX/LH SFP operates on standard single-mode fiber-optic link spans of up to 10 km and up to 550m on any multimode fibers. 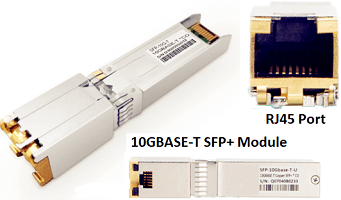 The 1000BASE-EX SFP operates on standard single-mode fiber-optic link spans of up to 40 km in length. The 1000BASE-ZX SFP operates on standard single-mode fiber-optic link spans of up to approximately 70 km in length. Fiber SFP with LC or SC optical connectors is used in Fast Ethernet and Gigabit Ethernet. Fiber SFP can offer different wavelengths and optical power budgets to allow transmission distances from 550m to 120km. Besides, there are other SFP types like CWDM SFP and DWDM SFP, which are used to increase the bandwidth of the fiber network. CWDM SFP modules come in 8 wavelengths covering from 1470 nm to 1610 nm, while DWDM SFP is designed for a longer transmission distance, whose maximum wavelength is 1620 nm and the maximum transmission distance is 200 km. Copper SFP is also a kind of SFP (small form-factor pluggable) or mini GBIC (gigabit interface converter) transceiver module. Copper SFP supports 1000Mbps over Cat5 cables with RJ45 connector interface, which allows communications over the Cat5 unshielded twisted-pair copper cable of link lengths up to 100 m. It supports the standard of 10/100BASE-T, 1000BASE-T, 10/100/1000BASE-T transceivers. 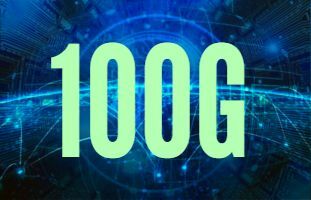 Among them, 1000BASE-T is the most commonly used which allows a segment with a maximum length of 100 m and allows auto-negotiation between 100Mbps and 1000Mbps. It can be used in data centers for server switching, LANs, for uplinks or directly to the desktop for broadband application. The difference between copper SFP vs fiber SFP will be described in the next part from the aspects of distance, operating temperature, security, interface, and cost. Copper SFP supports the max cable distance of 100m, while the fiber SFP allows the transmission distance up to 120km, which demonstrates the high performance over longer distances. Generally, when the transmission distance is over 328 ft/100 m, fiber SFP must be considered instead of copper SFP, since 1000Mbps could only go as far as 100m over copper cabling. Both copper SFP and fiber SFP support 0 to 70°C (32 to 158°F) case temperature as default. However, the power consumption and case surface will affect the temperature when copper SFP and fiber SFP operate in the specific applications. The typical power consumption of fiber SFP is 0.8W, the copper SFP is 1.05w. So copper SFP usually runs much hotter than the fiber SFP. Generally, the fiber SFP runs at 40°C (104°F) while the copper SFP should run around 52°C (126°F) in the same environment. 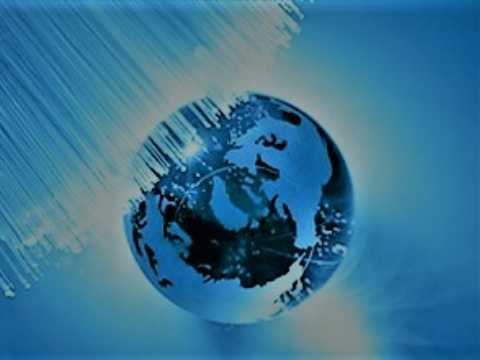 When it comes to the security in the connection, fiber SFP is worthier of being recommended than copper SFP. The reason is that fiber doesn’t conduct electricity, which makes it resistant to lightning strikes. The SFP devices allow the switch to connect to cables of different types. Copper SFP connects an Ethernet copper cable with the RJ45 connector interface. While fiber SFP commonly connects a fiber optic cable with LC connector. 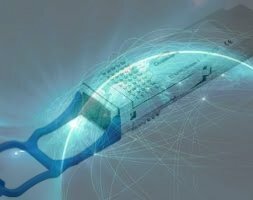 In addition, for short-distance links on a Gigabit switch, it makes no difference if you use SFP ports or RJ45 ports to interconnect switches. The SFP port is mainly used to allow longer distance fiber connections. The enterprise-class switches usually include two or more SFP ports. However, in some case, the switch on one side does not have standard Ethernet ports but only with SFP slots, and the switch on the other side only has RJ45 ports which can’t be fitted with fiber ports. Under this condition, you have to insert a copper SFP module into the SFP slot on the switch, then use a Cat5 Ethernet cable to connect the copper SFP and the RJ45 gigabit port on the other switch. In fact, copper SFP may be more expensive than fiber SFP transceiver within the same short distance. Copper SFP is popular for short-range backbone applications, as it’s easier and cheaper to use 1G copper SFPs and patch cables. However, with the boom of third-party vendors, fully compatible and trustworthy fiber SFP transceivers have been developed to support lower cost fiber runs. The price gap between 100m copper SFP and 40km 1000BASE-EX SFP fiber SFP is reduced. Thus, added choices are offered for customers to meet their specific demands. Through copper SFP vs fiber SFP comparison, we can see that each one has its own set of advantages and disadvantages. Nowadays, the solution of mixing copper and fiber is the best practice to ensure the manageable data center. With the developing and unpredictable technology, we’d better think about all aspects of the product to meet our demands. ← Fiber Optic Core-How Much Do You Know About It?